WordPress propels a very large number of types of website. From the simple blog to the evolved eCommerce site. Depending on the type of site you choose to manage with WordPress, you may have at least one main menu. 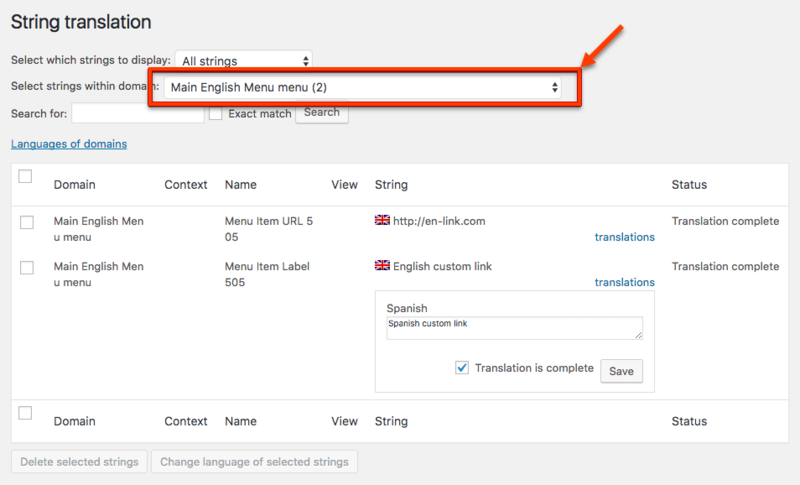 When you have a multilingual WordPress site, the least is that its menus are also translated. 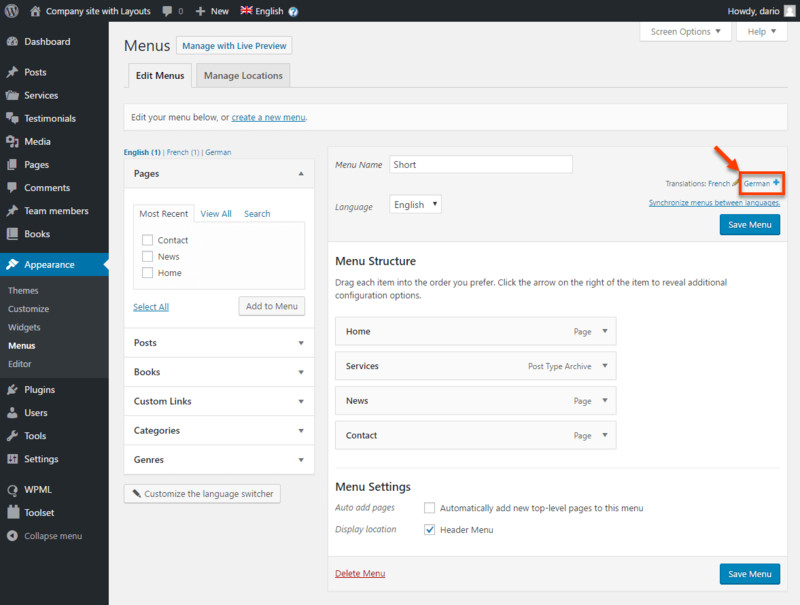 We will discover how to translate its WordPress menus. WordPress does not offer multilingual management in its core . This task is vested in the WordPress plugin system. So, choosing the right WordPress translation plugin is a must. Since the number of years that we manage WordPress projects, we have always entrusted this task to WPML . Thus, this guide will be based on the excellent WordPress translation plugin WPML . By using WPML , you will have many features. 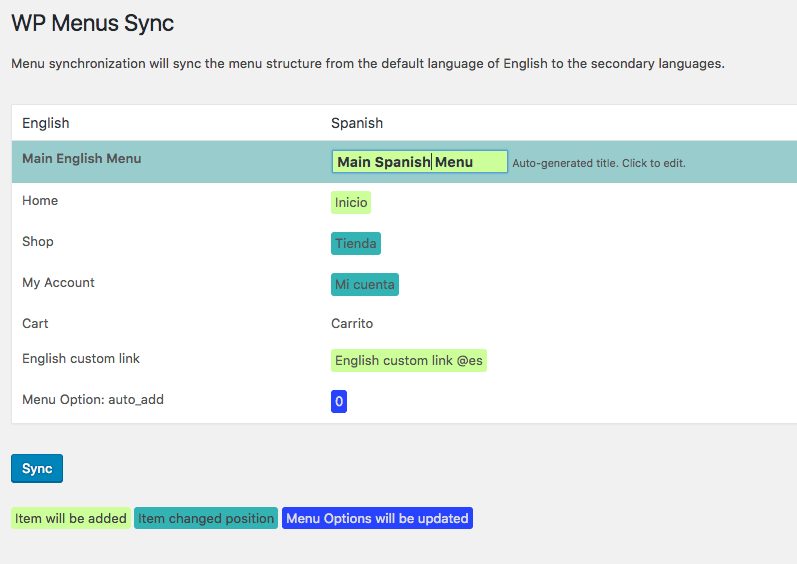 When we talk about translating WordPress menus, WPML allows us to either freely translate our menu, or let the system take care of it by synchronizing all the menus available in the different languages with the main language. Manual translation is a good solution for you if you intend to have menus with variations from one language to another. The idea is to allow you to have site trees that can vary from one language to another. This can also be very effective in case of small menu. The interface is clear and well thought out; it’s going fast. 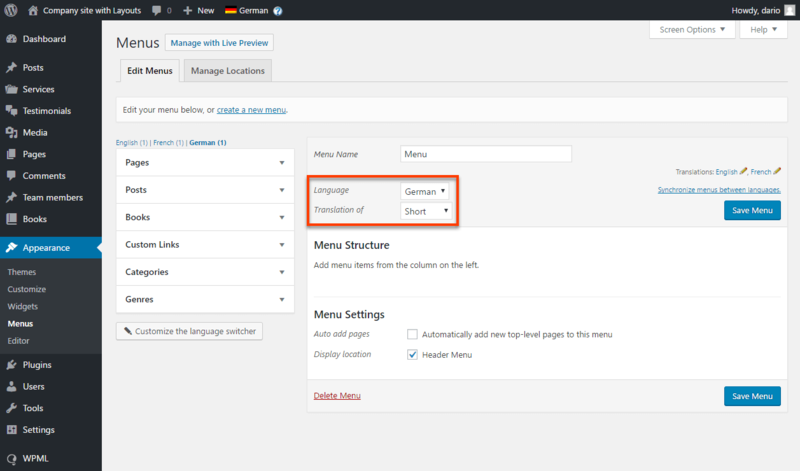 To translate your WordPress menu manually, just go where you usually manage your menus to know in Appearance – & gt; Menu and select the menu you are going to translate. Note that you can translate all your menus, but one after the other. Normal what. Go to the language for which the menu should be active, and click +. Your new menu will be accessible for this language only. You can manage the menu as usual. In pictures, here is what it gives. 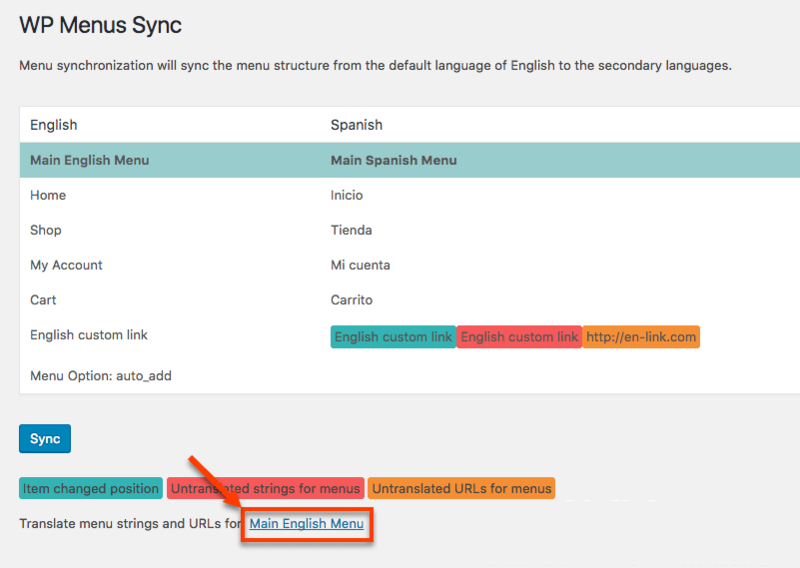 The second way that WPML proposes to translate your WordPress menus is to rely on the system to perform a synchronized translation. This is very useful when working on mirror versions of a translation from one site to another. This avoids mistakes, and saves a lot of time. It may be possible for some languages to have a synchronized menu while others will rely on a manual version of your menu translation. Everything will happen in the WP Menu Sync part in the WPML entry of your WordPress admin interface. You will find a list that is similar to a summary of what WPML understood about your menu, and the changes it has perceived. To embark on the adventure, simply click on Sync. Check all the changes proposed by WPML and select any changes you want to consider. If this is the first synchronization, then it will be necessary to select everything. This is made possible by one click by clicking on the name of the column in question. Again, check the result that WPML gives you. If everything looks good, but some translations are missing, click on the link at the bottom of the page. This will send you directly to the WPML translate phrase management interface. Note that you are automatically positioned on the right sentence. 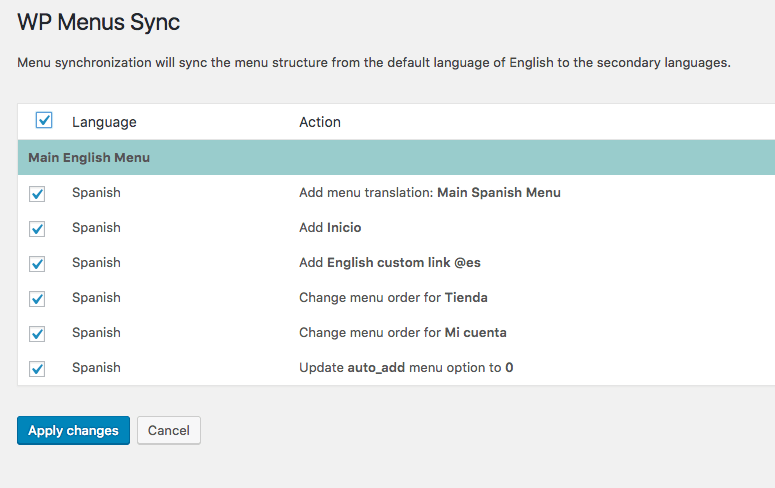 And now, you know now how to translate WordPress menus and offer a real multilingual site to your visitors. How to speed up a multilingual WordPress site? How to translate WordPress taxonomies (tags and categories)?